Creative Business Authority | Payroll Services | Payroll FAQs | Why do I need a payroll service? FACT: According to the IRS, 1 out of 3 small businesses incur an average of $1,300 per year in late fees or penalties for late or inaccurate tax filing and deposits. Q: Why do I need an out payroll service when I only have a few employees? A: Payroll needs to be accurate and timely, not only for your employees but for federal and state requirements. Most business owners need to know these functions are accomplished correctly. 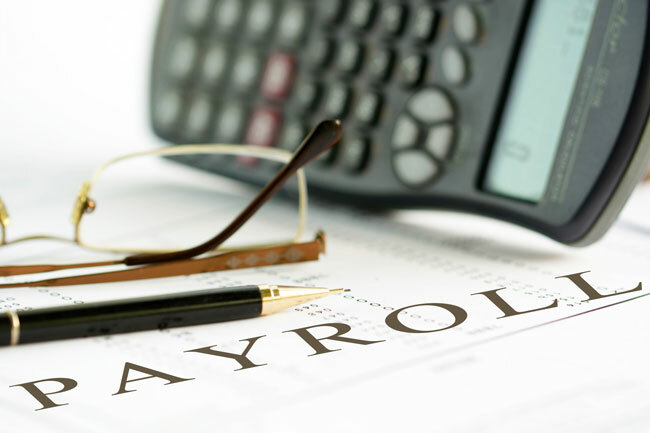 Q: There are a myriad of payroll companies out there, why is yours better. A: First, we are less expensive than most other companies. We charge just one flat monthly fee regardless of how many pay periods you have within a month. Second, our flat fee covers all state and federal filing obligations, including year-end W2 processing and forms. Third, we guarantee accuracy and timeliness of reporting. Q: How does your system work? A: It’s completely web-based and secure. Once your files are set up, login into the system and enter employee time, or we will do it for you. Q: It's mid-year, can I change to your payroll system? A: Yes, all we need is your current year-to-date information. Q: Is there a way to integrate payroll information to my bookkeeping system? A: Yes. Our system automatically generates a file that will update your books. If we are doing your bookkeeping, you will instantly see your payroll expenses, obligations and tax payments immediately. The most cost effective payroll service available.